Posted on November 30, 2018 at 10:45 am. 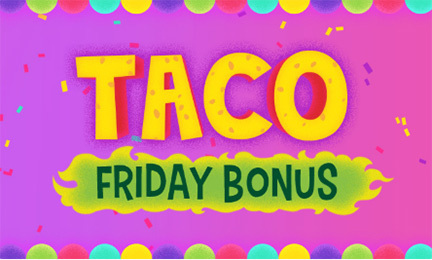 Punters at Mucho Vegas Casino can head into the weekend with a full belly after chowing down on the weekly Taco Friday Bonus. All you have to do is log on any time on Friday and deposit $25 or more into your betting account. If you decide to opt in, the casino will give you a 30 per cent bonus match up to $300. For example: if you deposit $100, you can get another $30 on the house.